Lift-mounted machines of 100 and 250l of capacity. Ø 280 mm double fan. Monocoque self-supporting frame in steel. Sturdy, lightweight and compact design with 3 points of hitching with bolt. 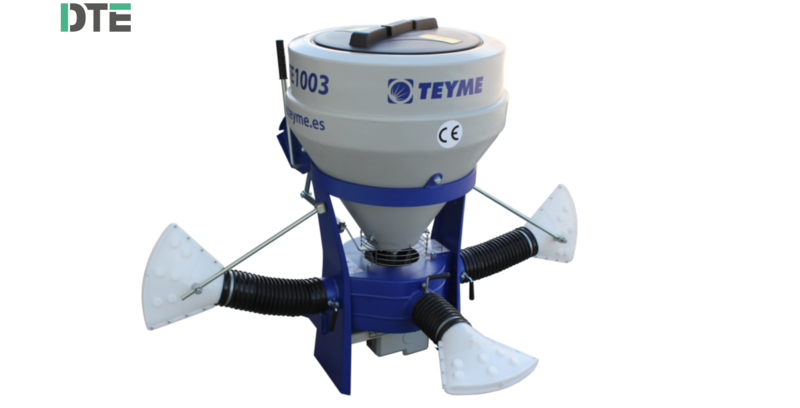 100 and 250L hoppers made of cross-linked high density polyethylene with a compact agitator against product compactness. Steel wrapping housing integrated on frame with 2-3 air outlets. Ø 280mm double fan. Focused application over 2 sides with treatment lane by lane. Hand-regulation of spouts' height. Provided with 4-6 fan spouts. Prepared for all the range of trailed ZEFIR and liftmounted DTVS sprayers. Focused application with 100% uniform distribution and deepest penetration. 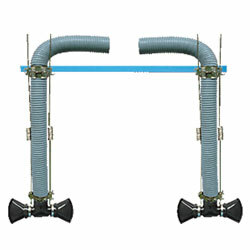 Hand- or hydraulic- regulation of the application width. Provided with 8 or 12 steerable fan spouts.